I know that when we talk about choosing the right hairstyle for an individual, we usually talk about face shapes, prominent features, and the properties of the hair. Yet there are other factors that come into play when choosing the “Right” hairstyle for a person’s lifestyle. Let’s face it. It’s just not practical for the average working mom to wear a style that demands a lot of time every day to maintain it. It’s true. In general, a shorter haircut takes less time to style in the mornings. The reasoning is simple: Less hair means a faster drying time, and less to work with. In some cases, depending on the style, you can even ‘wash and go’ and let the hair dry naturally. The ‘wash and go’ style usually works well with curly hair types or shorter, permed styles. Another trick to cutting down on the time it takes to style your hair is to remove the bulk from thick hair types. This can be a matter of adding layers to straight-to-wavy styles, or simply using thinning shears on curly hair types. This works in the same manner as a shorter style: less hair dries faster. Women who have their hair layered or thinned to remove extra bulk usually find the time it takes to dry their hair reduced by as much as 50%. One of the easiest tricks to making your styling routine faster is to choose a style that suits your hair’s natural tendencies. This means that if your hair is naturally straight, then select a style that works with straight hair. And, if the hair is naturally curly, choose a style that takes advantage of the curl. By working with the hair’s natural tendencies, you can save yourself a lot of time and trouble in trying to make it conform. The advances in Cosmetic Chemistry mean that we can more easily create whatever wave pattern we want in the hair. 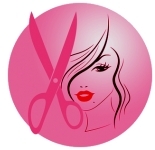 This means that the woman whose hair is naturally curly but wants straight styling can have her hair straightened and cut the styling time down to a fraction of the norm. Of course, the reverse is also true and you can have straight hair curled. The key is you have to be sure of what you want, because you have to commit to the care and feeding of your new hair style’s needs. 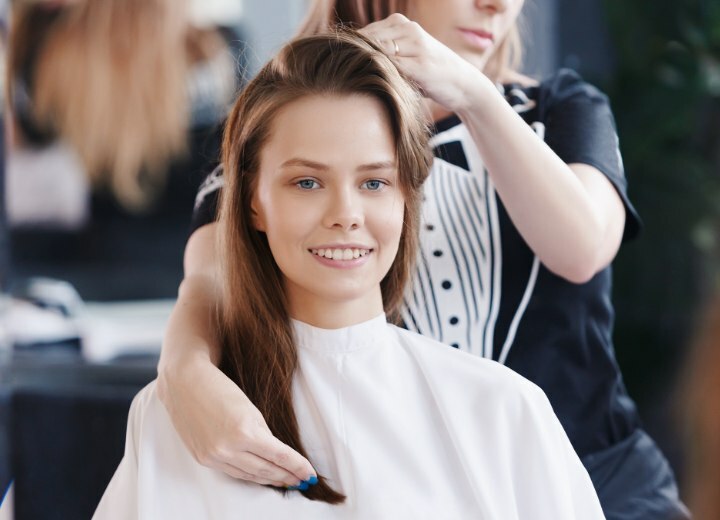 Obviously, the most important factor for choosing a style is to select one that is flattering to the face and build of the individual, but while a style can look terrific out of the gate (at the salon) it’s the individual who has to live with it. Living with it means doing the daily styling and daily and weekly care routines that keep the hair healthy and the style looking the way it should. This is why communication is so important. As a client it’s your job to ask your stylist all the important questions on caring for the hairstyle you have chosen. This includes: “What product should I use?” and “What styling tools are best for this style?” It also means that you need to make sure to watch the stylist as he or she styles the hair, in order to learn the little tricks that are so often key to making a style look the same time after time. 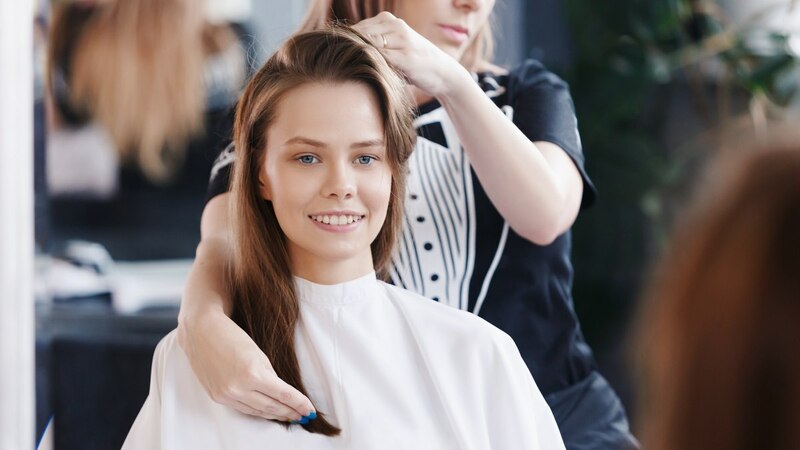 And when you’re getting a brand new look, expect to take as much as twice as long as the stylist needed at the salon in order to create the look at home. This isn’t because of any deficiency on your part it’s just a matter of practice. Remember, while you get up and style your hair every morning, the average stylist does the same thing, and then spends his or her entire day doing the same thing for dozens of other people. You’ll get faster, but expect a learning curve. If you spend the time to get things sorted out before you get a new look, you can make better decisions on what works for you and what you can work with.